More than 71, 000 cases await an efficacious judicial disposal. The graph of judicial backlog, save the period right after emergency, has been an ever increasing one. There are more than 65,000 cases pending before the apex court alone. There have been various attempts to create special benches to ensure speedy disposal of cases. Last year witnessed the creation of special Supreme Court benches for women and children, those awaiting death row and also a special constitutional bench. The constitutional bench started functioning from 3rd of September, 2013. The Chief Justice of India canvasses the framework for creating such benches. Justice P Sathasivam through a Supreme Court notification has ensured a creation of Special Regular Bench for Criminal Appeals to hear cases pending since 1999 involving interpretation of important question of law. The bench is to start functioning from 7th of January, 2014. A recent study by Nick Robinson on the pending judicial backlog in India highlighted that Supreme Court has been flooded with criminal, service and labor matters. While Tax, arbitration and commercial matters involved higher acceptance rates, criminal and service matters had higher admission and disposal rates. The observable trend was that more appeals would lie from high courts closer to Delhi as compared to other High Courts. Supreme Court stands as a criminal appellate body deriving its powers from article 124, 132-136 of the Constitution. Various laws like the criminal procedure code and other special laws also envision the Apex Court to be the final appellate body. This power of appeal that the court exercises is a limited one. And yet lately the Supreme Court has been functioning more like an appellate body rather than deciding matters of constitutional importance, with such matters being less than 1% of the cases disposed. The recent constitutional matter decided by the Apex court was the one involving mandatory registration of the FIR in cognizable offences. 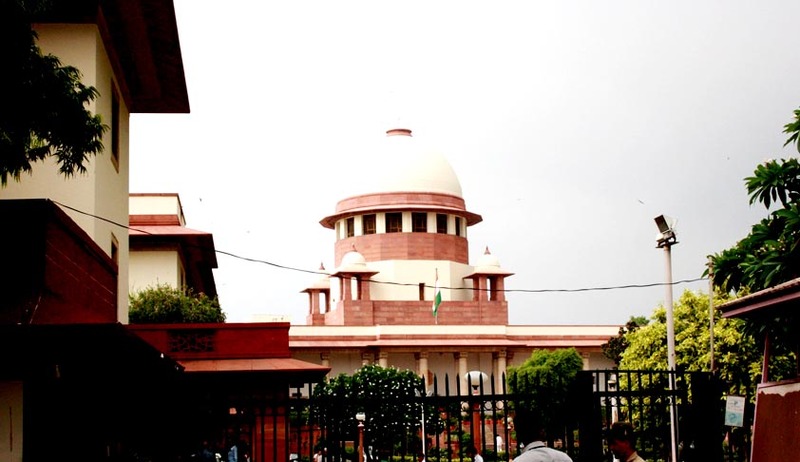 In 2009, a report by Indian Law Institute suggested that a panel of Supreme Court be constituted in 4 parts of the country.The Apex Court cannot be allowed to be preoccupied in the maze of routine and mundane matters while matters of extreme constitutional importance await. Maybe, it is time to implement more radical measures rather than just setting up of special benches. In spite of the huge backlog, needless to say that the Apex court while deciding criminal appeals is exercising a very delicate and important function.The Apex Court has recently expressed great displeasure at the present state of affairs where several appeals since 2005 have been pending. This move by Justice Sathasivam seems to fructify the courts sentiment.